← Brexit one year on: Instability Rules. 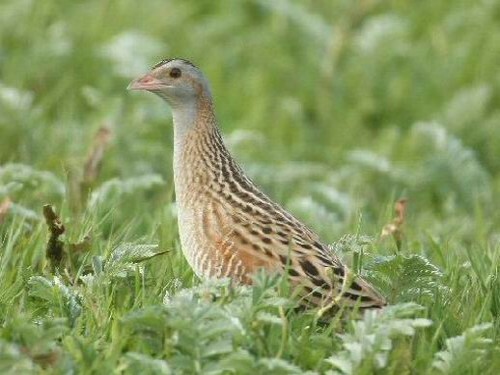 The sound of the Corncrake has disappeared from the English countryside as the hay meadows it depended on have gone. People Need Nature is releasing its “Meadow Sounds” soundscape today on National Meadows Day. Charity People Need Nature celebrates National Meadow Day (1st July 2017) by releasing a specially created soundscape evoking the lost Wildflower Meadows of England. 97% of all wildflower hay meadows in England have been lost since 1945. Just a few thousand hectares remain. People Need Nature Trustee Keith Datchler had the idea for a meadow soundscape at the launch of the Queen’s (Coronation) Meadow in Green Park, London, in 2016. People Need Nature worked with composer Matt Shaw to develop the Meadow Soundscape. Simon Emmerson of Afro Celt Sound System produced the mix, with Charlie Moores from Lush Radio providing voice-over. Mark Constantine and Magnus Robb of The Sound Approach recorded the bird samples used in the Soundscape. The Soundscape was generously sponsored by Agrifactors (Southern) Limited. This entry was posted in meadows, People Need Nature, sensory value of nature and tagged meadows, national meadows day, People Need Nature, soundscape. Bookmark the permalink.